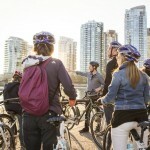 Our Guide Team takes pride in sharing great experiences with our new friends who join our rides. With a “tread lightly” philosophy, we casually cruise the city in small groups, stopping to tell stories enroute, seeing the unexpected, laughing, and eating! 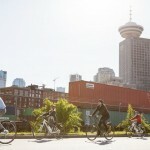 Vancouver is a relatively small city, with generous bike-ways and rated one of the most beautiful cities in the world. 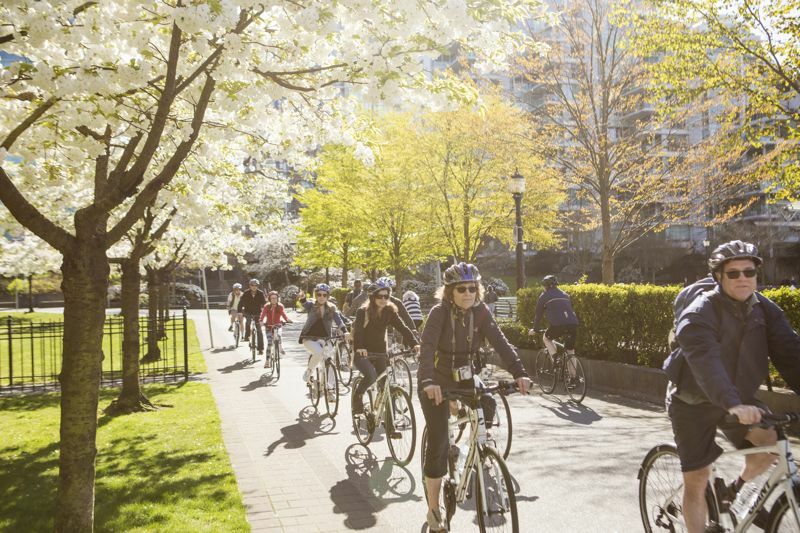 Jump on one of our stylish city bikes and discover the soul of Vancouver with us! Join us for a journey around one of the most beautiful cities in the world! 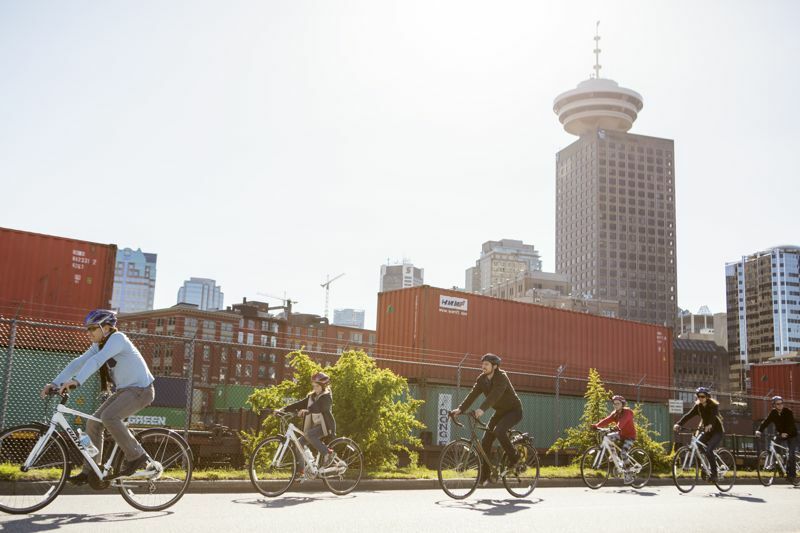 We’ll cycle through Stanley Park, visit bustling Granville Island Market, and learn about Vancouver’s roots in Chinatown and Gastown. 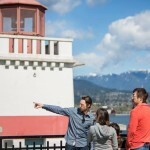 The best way to orient yourself and learn about Vancouver! 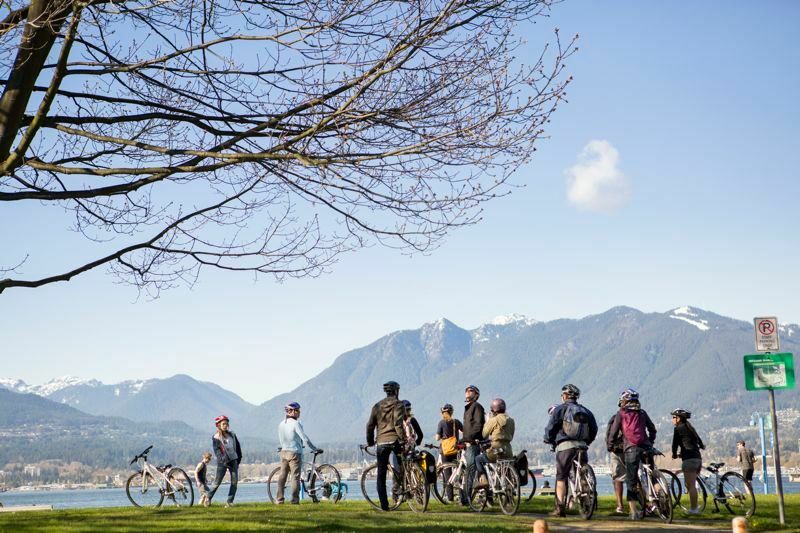 This tour encompasses Downtown Vancouver and highlights the very best sights, attractions, and biking that the city has to offer! 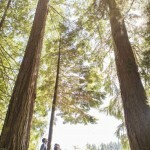 It is a great way to start your visit and discover your surroundings. 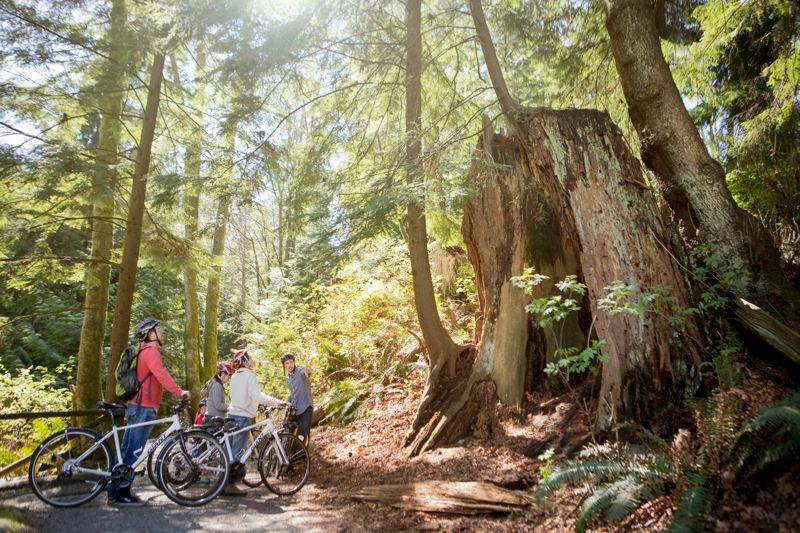 We begin with a tour of world-famous Stanley Park, riding trails through old-growth forest and taking in the spectacular sights of the seawall. 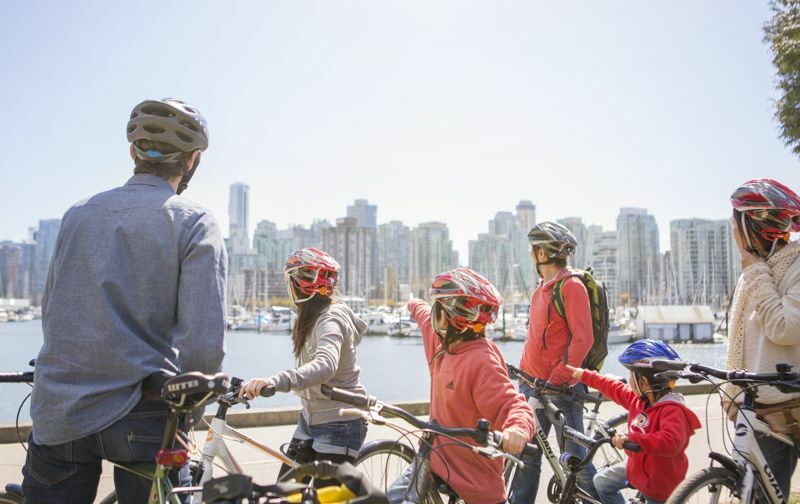 After riding through English Bay past some of the hottest beaches in the city, we hop a ferry over False Creek to Granville Island, known city-wide for its arts and culture scene as well as its great food and shopping. Guests enjoy a break from riding to find lunch at the Public Market, with dozens of vendors to choose from. Next we follow the seawall along the south side of False Creek, taking in beautiful views of Vancouver’s modern architecture framed by the North Shore Mountains. We pass the Olympic Village complex and Science World, learning about Expo ’86 and the 2010 Winter Olympics. Finally, we go back in time to check out Vancouver’s vibrant Chinatown including a visit to the Dr. Sun Yat-Sen Chinese Garden. Nearby is historic Gastown, Vancouver’s first downtown core, where we’ll learn about Gassy Jack’s first pub as well as the city’s humble beginnings as a logging outpost. 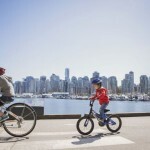 We once again join the seawall and make our way towards home through beautiful Coal Harbour, riding along the waterfront and checking out the marinas and the seaplane port. 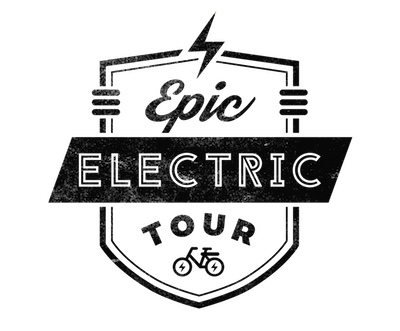 This tour is easy for riders of basic fitness. 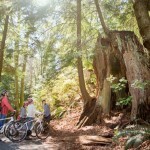 Frequent stops, photo ops, and flat trails make this an enjoyable ride and our most popular tour! Stanley Park is also uniquely situated with incredibly scenic views of downtown Vancouver, the North Shore , The Lion’s Gate Bridge, as well as English Bay and the Westside. 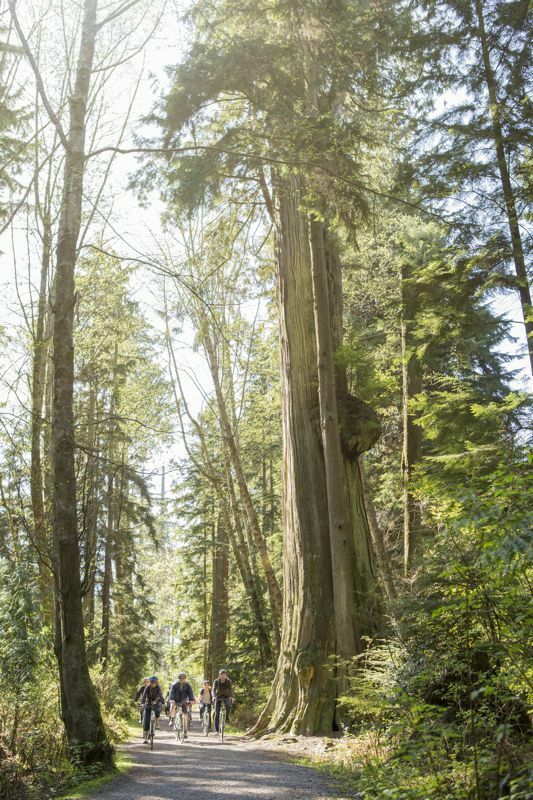 Our guides will weave you down the pristine forest trails that criss-cross through the park, and give incisive information about our amazing wilderness city. This is definitely more than just a ride in the park. 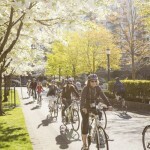 You will walk or ride away with a deeper understanding of both Vancouver and its green treasure. 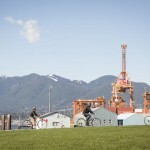 An easy 9-10 km ride on dedicated bike trails. We always ride at a relaxed pace to take in the sights, so anyone with moderate fitness can easily do this ride! 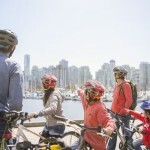 Highlights the best of Vancouver including Stanley Park, English Bay, False Creek, Chinatown and Gastown in a shorter route than our Grand Tour. Electric Bikes make the experience a breeze for all fitness levels. Must be able to ride a normal bike. 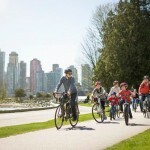 Jump on a fun and easy-to-ride E-Bike and tour Vancouver with ease. This tour highlights the very best from our Stanley Park Tour and Grand Tour in a slightly condensed format. 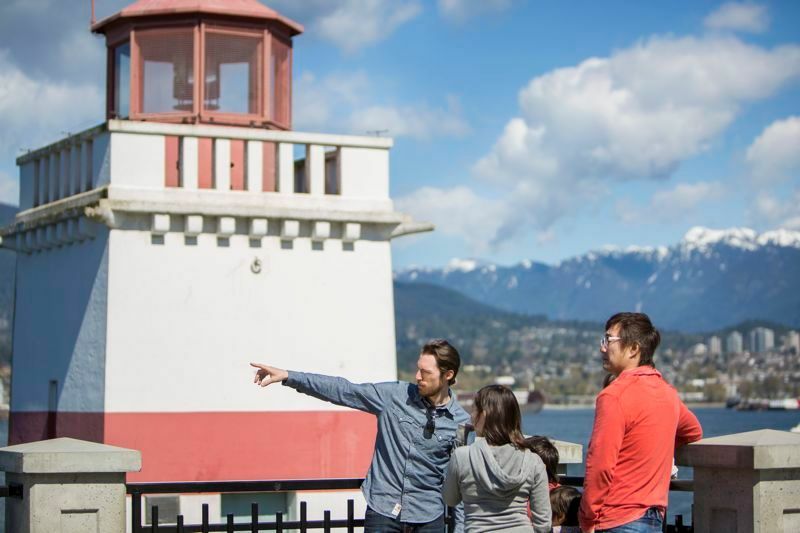 Along this 4-hour tour, we’ll visit Stanley Park and cruise the Seawall with stunning views of our Downtown skyline and North Shore Mountains. 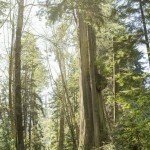 We’ll visit the iconic Totem Poles and lush Beaver Lake where wildlife abounds. 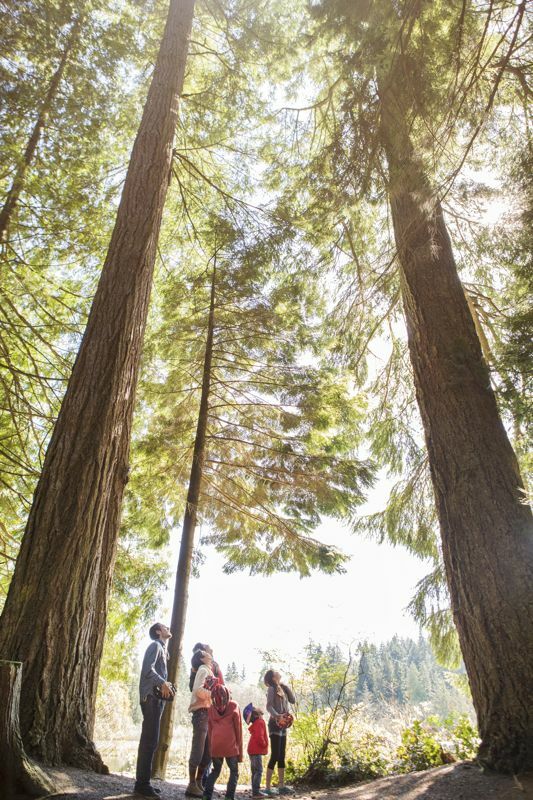 We make use of our electric boost and ride up to the Prospect Point Lookout, the highest point in the 1000 acre park, overlooking the Lion’s Gate Bridge and on clear days we can see all the way to Vancouver Island! 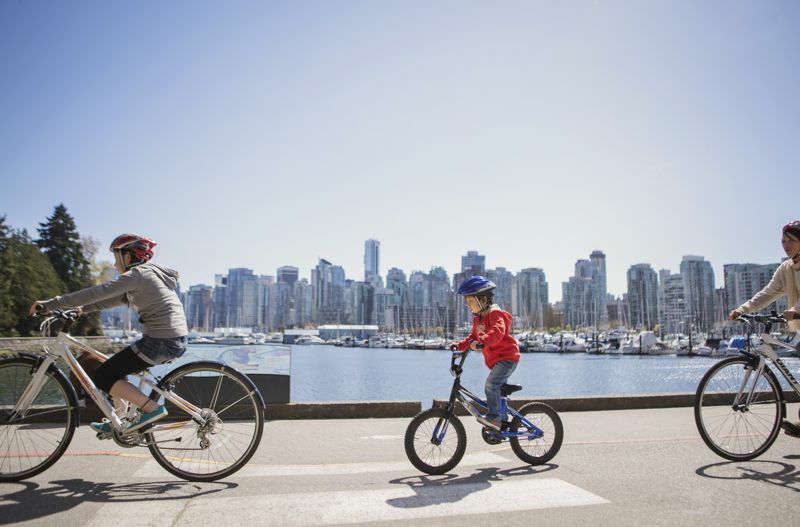 After leaving the park, we cruise along and check out some iconic neighbourhoods on the False Creek waterfront including Yaletown and Olympic Village. Both neighbourhoods are award-winning developments known for their modern style and eco-friendly design. Finally, we visit Chinatown and Gastown, two of Vancouver’s oldest neighbourhoods, where we share stories about the city’s roots amongst the city’s oldest buildings before heading back to our shop. 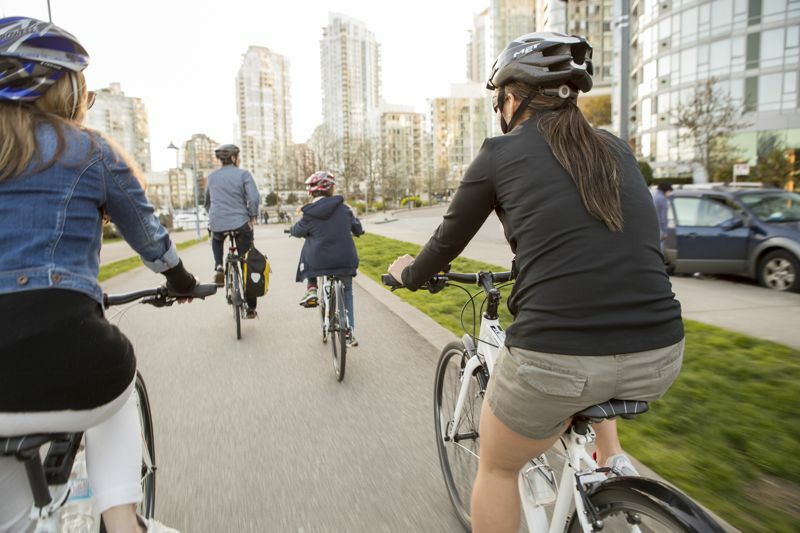 This tour makes use of Vancouver’s extensive separated bike trails, with 95% of riding on routes without cars and max group size of 8 riders. 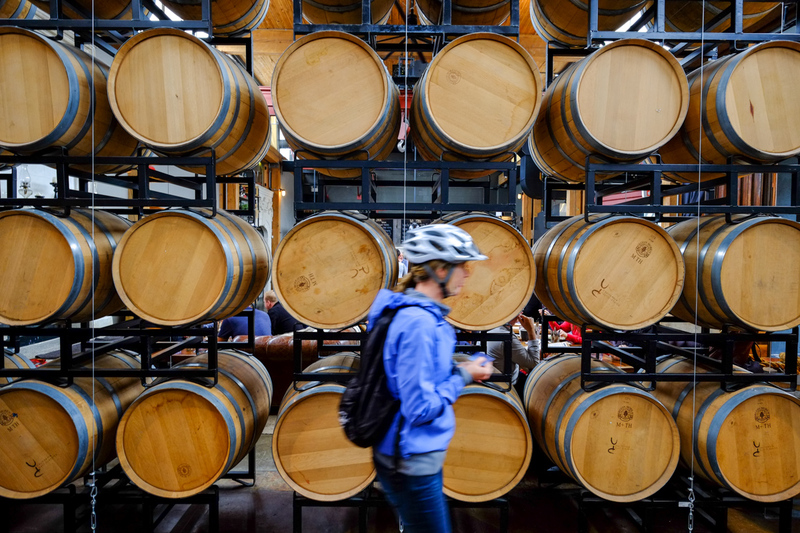 We do not visit Granville Island Market on this tour, so going there in the morning is a great way to pair your day of exploring. Flat, 95% on Designated bike lanes. 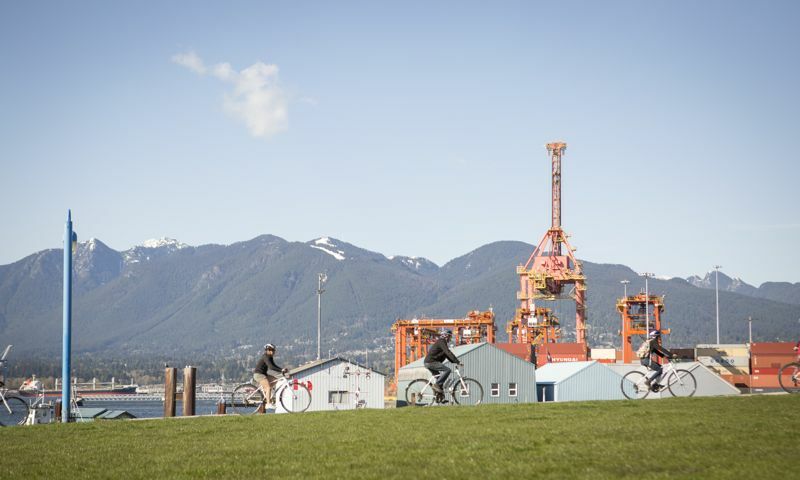 The city of Vancouver boasts an unparalleled combination of natural beauty and vibrant urban living, day and night. 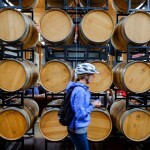 What better way to drink it all in than on a twilight bike ride? Cruise through cool forest trails in the early evening, then catch a dazzling sunset over the water from a sandy beach. 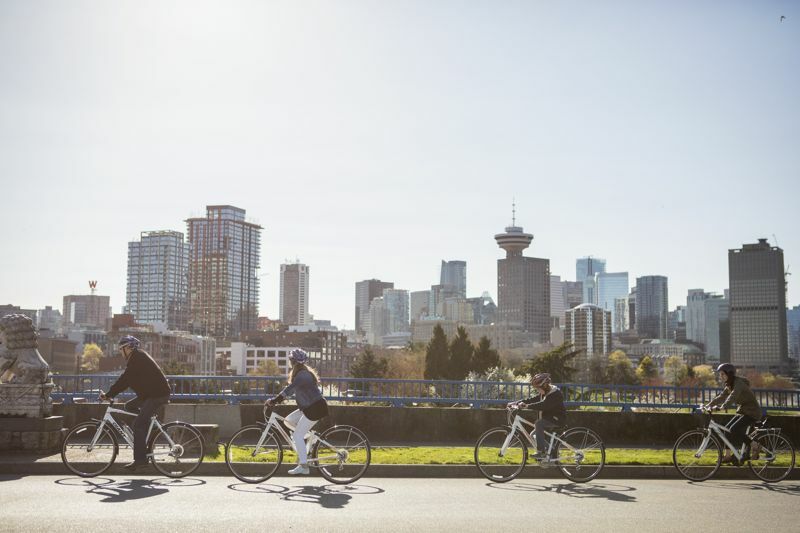 Enjoy a stop for gelato on the seawall as the daylight slowly fades, then it’s time to shift gears: we’ll turn on our bike lights, put on some tunes, and tour the most iconic neon-lined Downtown streets. You’ll be amazed by the spectrum of sights and sounds after this evening well spent. 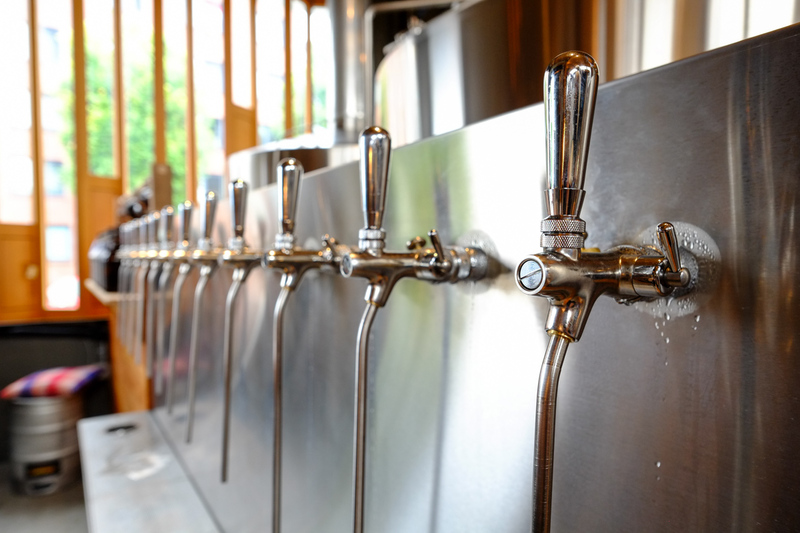 Come along as we go “behind the brew” in Vancouver’s growing craft beer scene. 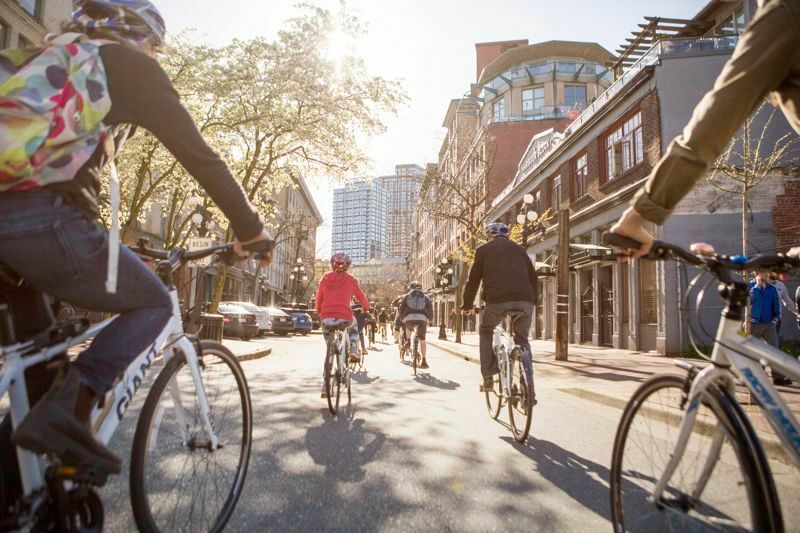 We’ll ride through some of Vancouver’s most historic and interesting neighbourhoods, while stopping off at three distinct breweries for tasty brews and a delicious brunch (included in ticket price). 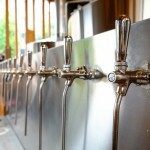 Perfect for beer lovers or the simply beer-curious, you’ll have the opportunity to tour brewing facilities and talk to the characters that bring these establishments to life. 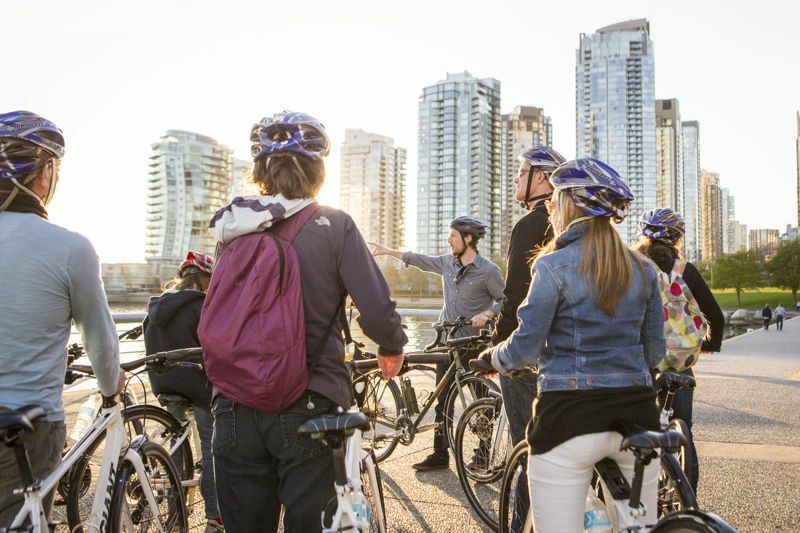 Begin your tour amid the glistening highrises of Downtown Vancouver where, not so long ago, horses once trod and saloons plied the locals up and down the water’s edge. Learn about historic Gastown and Vancouver’s first tavern ever built, the Globe Saloon. 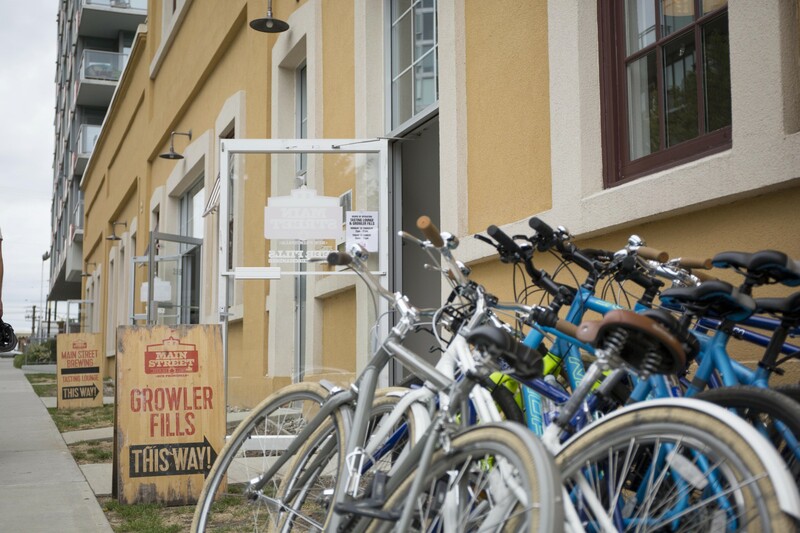 Mere blocks away stands the Settlement Building, a heritage workspace now turned brewery, winery and restaurant. Enjoy a delectable brunch from Belgard Kitchen as we sample our first three beers from Postmark Brewing. 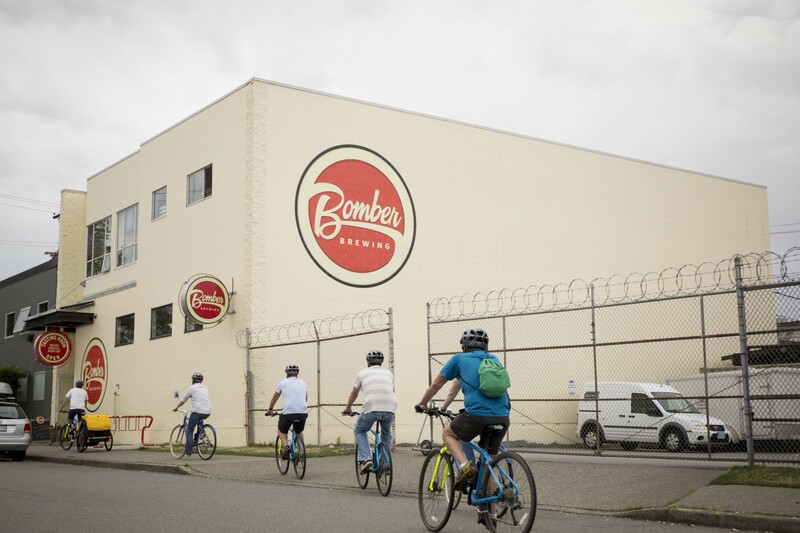 We ride on through Strathcona, the oldest residential neighbourhood in Vancouver, where the booming craft beer scene is revitalizing its vintage industrial spaces. 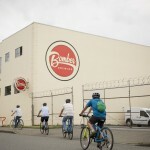 Hometown heroes Bomber Brewing serve up our next samples; we’ll learn about bike infrastructure, beer packaging, and old fashioned neighbourhood scandals, before riding south towards Mount Pleasant. Our third and final stop finds us in the Brewery Creek district: birthplace of Vancouver brewing and the historic epicenter of local beer making a century ago. 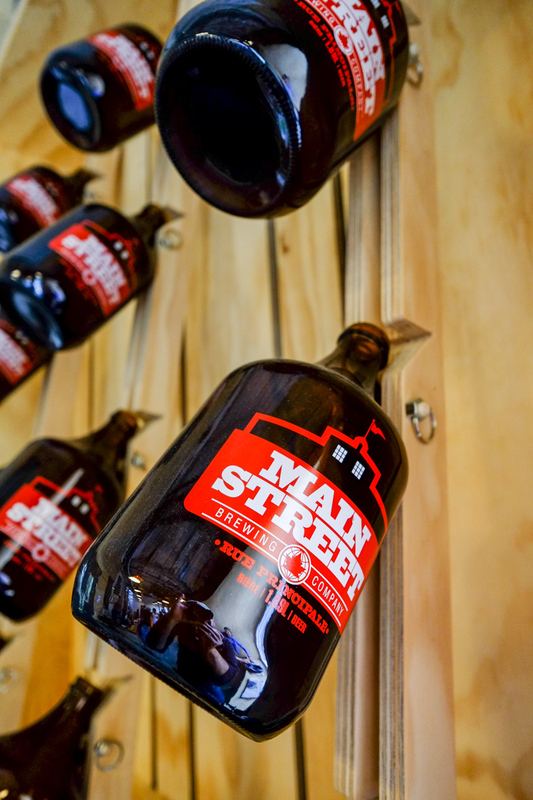 Now operating out of an original 100-year-old heritage brewery is Main Street Brewing Co., where we’ll enjoy our final tasters before returning downtown. 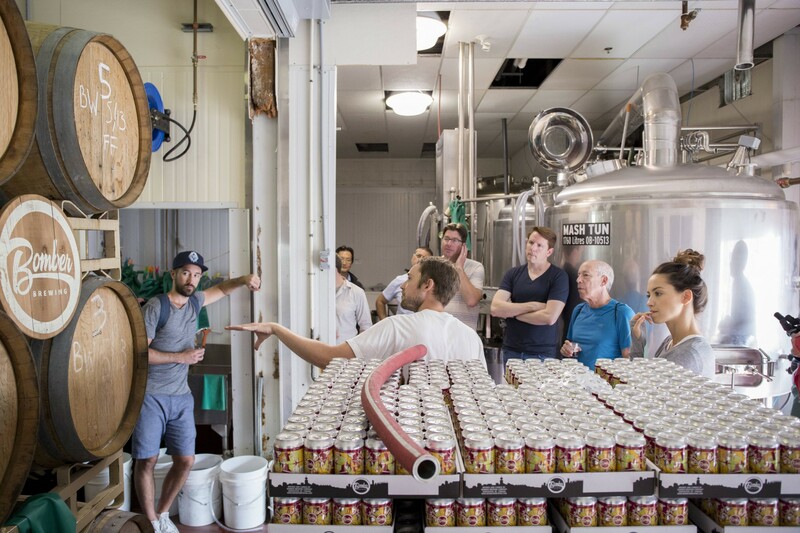 At each of our three stops guests can enjoy three 3oz samples of beer — for a total of 9 samples — as well as tour the facilities to learn how the beer is made and packaged. 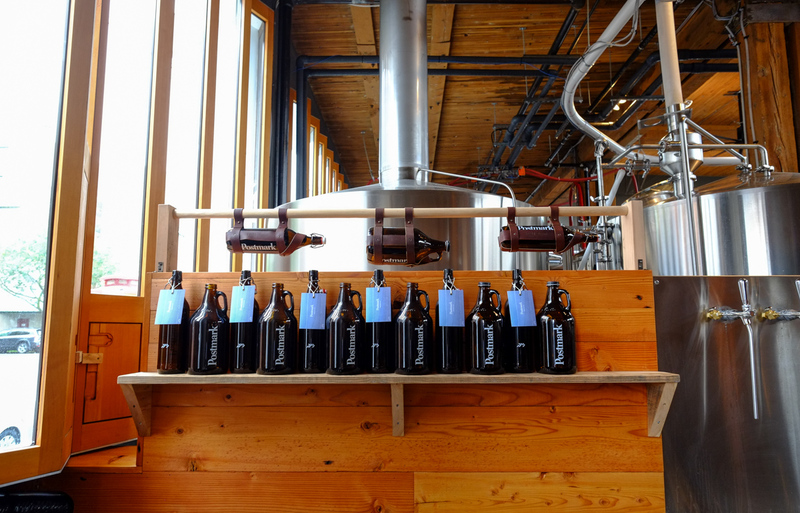 No additional consumption of alcohol is permitted during the tour, however growler fills and packaged beer may be purchased for later enjoyment. We’ll gladly carry your purchases back to the shop for you. 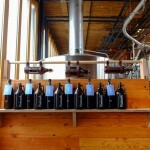 This tour is meant to be fun and educational — it is not a pub crawl! 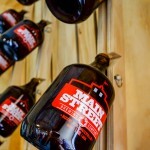 Brunch is included at our first stop to compliment the beers and demonstrate the principles of beer pairing. Please inform your guide of any food restrictions or requirements before departure. 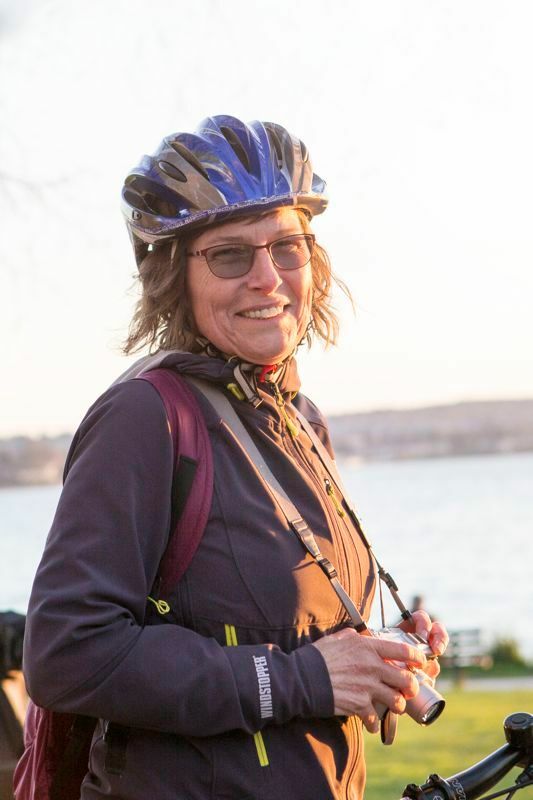 Safe cycling is our number-one priority. If a guest is unable to safely continue on the tour, alternative transportation will be arranged. Groups or private tours can choose from one of our standard day tours at a custom start time, or let us know your time-frame and interests and we’ll plan a special itinerary just for you. Contact us to check on availability, as summer months get booked up quickly! 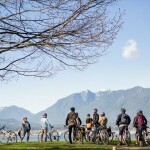 Vancouver is the perfect backdrop for a group or customized private bike tour. 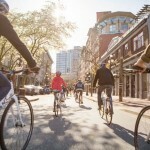 Generous bike-ways, amazing scenery, interesting sights, and an active culture make this city perfect for a cycling event. Choose any of our tours and be treated to a tour with your own private guide. 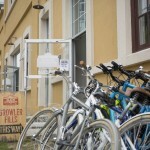 We do our best to accommodate your schedule, can can start at any location city wide with bike delivery. Perfect for families with children under 12 and for those looking for an extra special experience for a large or small group. 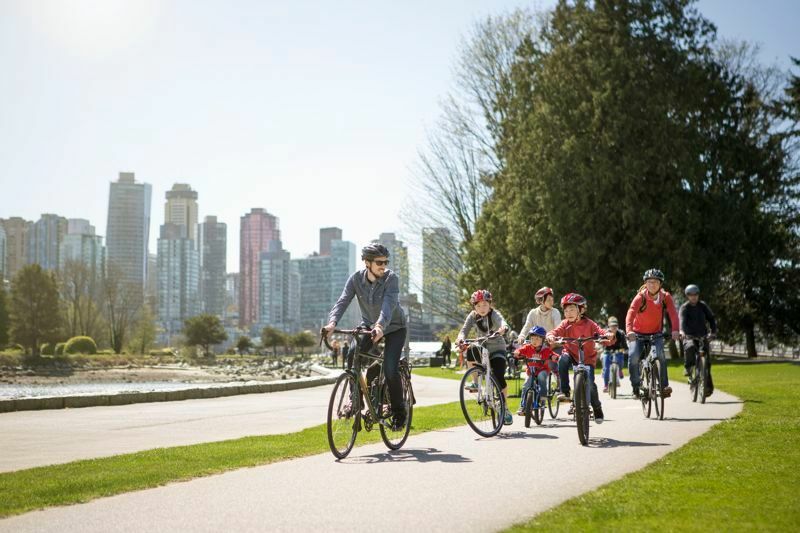 Cycle City Tours offers special group and customized private tours throughout the year, specializing in customized family tours, corporate & conference events, and school groups. 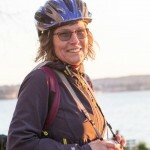 For those with a limited time frame or those who want a unique experience, let us deliver the bikes to your hotel, restaurant, or attraction for seamless transition between your events. 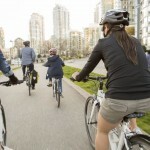 Why not use bikes to get to your next venue rather than driving or hiring a bus? 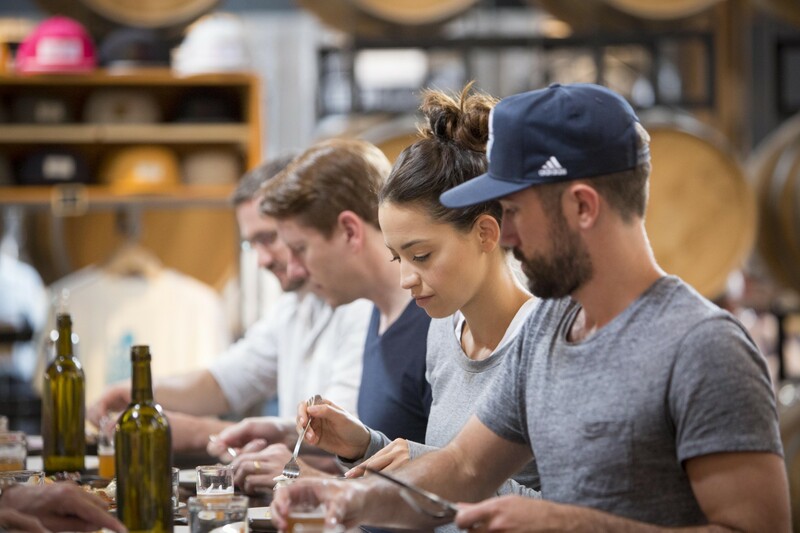 Groups or private tours can choose from one of our standard tours at a custom start time, or let us know your time-frame and interests and we’ll plan a special itinerary just for you. Contact us to check on availability, as summer months get booked up quickly!